What we’re wearing in the name of love. 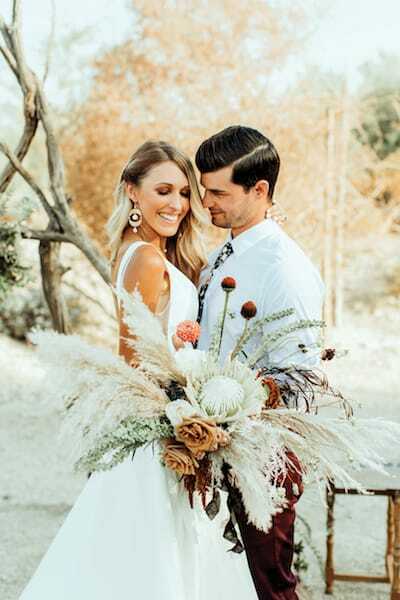 Emily achieved a jumpsuit look by pairing a blouse and pants for her wedding to Michael at The Living Desert Zoo and Gardens. Bouquet by David Rohr Studio. Breezy caftans pair with cowboy boots and hats for good times in the High Desert. 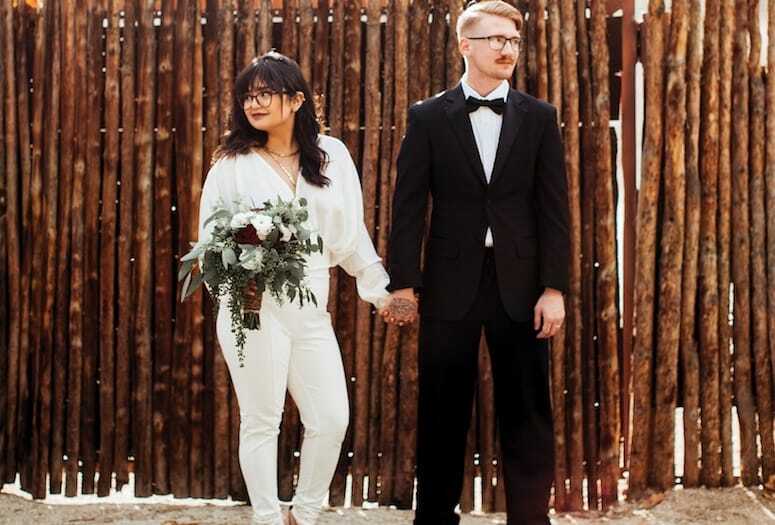 Singing, dancing, dueling pianos, and an Elvis impersonator were only part of Leah and Jen’s quirky nuptials planned by The Walk Down the Aisle at Pioneertown Sound Stage. 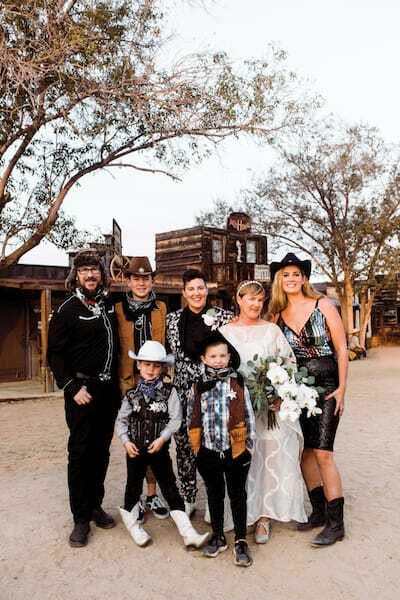 Most guests put their own spin on classic Western attire. Grooms lighten up their looks for the big day. Michael matched his shirt to Daya’s maxi skirt, both from Etsy. 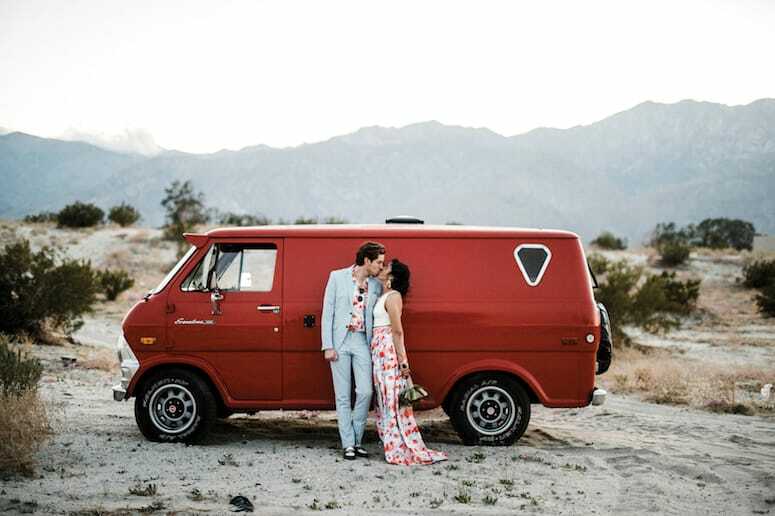 His blue suit looked especially groovy against a vintage van. Grab hold of the most outsize blooms, greens, or succulents you can find. 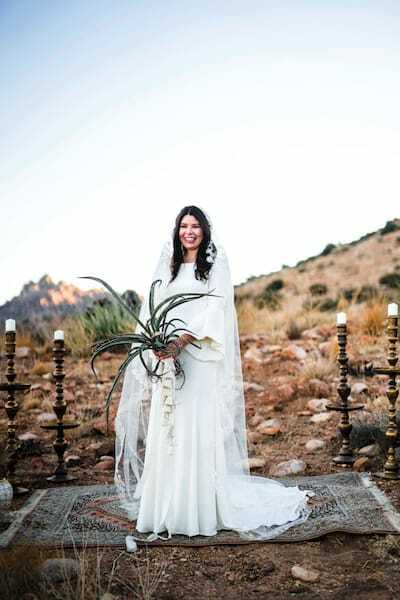 Feathery textures by Studio Kate Floral contrast Amanda’s DIY “bouquet” (which she dug up then replanted) for her elopement by Desert Pop Up. One more change, once the guests are on their way. 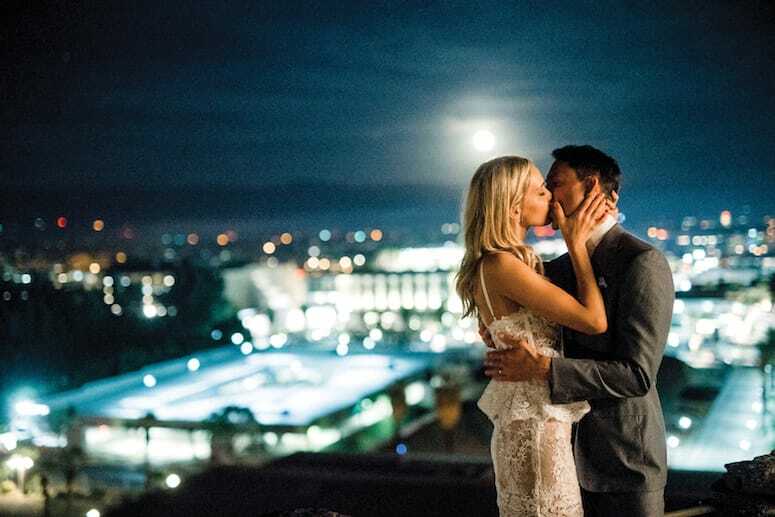 Styled for an afterhours celebration, Julia and Rob retreated to The O’Donnell House overlook for a view of the twinkling city below.